Serviced offices provide a flexible solution to businesses looking for a quick and convenient office solution, and the market shows no signs of slowing down according to Business Quarter Online. Ideal for companies undergoing expansion and in need of a larger business premises, serviced offices can be the answer. For business owners considering the serviced solution, here is everything that you need to know. What Does a ‘Serviced Office’ Mean? A serviced office not only gives you the monthly lease of a premises, but businesses will also have full and unlimited access to utilities and core office furniture. The price of the rent will also include any service charges and cleaning completely free of charge; a full office package for businesses without the time or resources to manage this themselves. Are Serviced Offices a Temporary Solution? Many businesses use serviced offices as a temporary solution when they grow and are no longer able to accommodate their growing customer needs in their original location. However, serviced offices can also be a permanent solution for businesses which prefer the convenience and the flexibility of serviced packages. This solution also means that companies experiencing cash flow problems can break down the costs of offices and core facilities into one affordable rental fee. 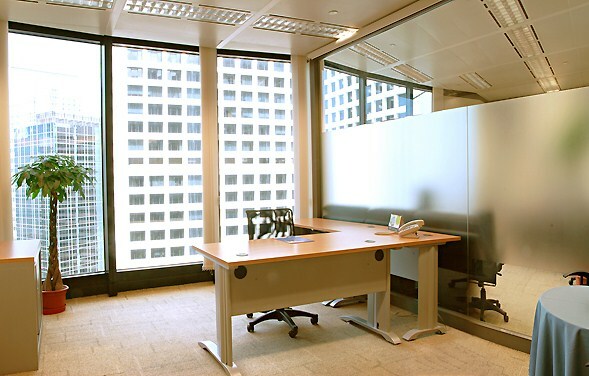 Are Serviced Offices Cost Effective? Some business owners worry that the cost of a serviced office may be too high but many office proprietors can actually help businesses make incredible savings by providing a complete package. A serviced office can also save you time, and in a world where time is money, this means that your energies can be focused on the most important aspects of your work. Prices will vary from agency to agency, and it’s also important to bear in mind your location; for instance the cost of London Executive Offices or New York offices may be more expensive but with no initial outlay, instead just a monthly lease fee, you could find this to be the most cost effective solution in the long run. What Can I Expect to Be Included in a Serviced Office? Contracts will differ but as a general rule, you can expect a furnished office (some contracts provide the core furniture whilst others come fully furnished), a secure IT network, telephone lines and handsets, telephone answering services, support personnel, a serviced kitchen area including tea and coffee, office maintenance and cleaning, CCTV security and 24 hour access for all staff. For businesses with further needs, it is possible to add meeting room access (or daily hire), administrative support, stationery and other office equipment, IT support, business dining services, concierge, courier service and more. How Flexible is a Serviced Office Contract? Serviced offices act just as your own offices, just without the hassle of organising and maintaining everything yourself. With full 24 hour access, there will be nothing restricting you from taking full advantage of the space and services available; for businesses with extended and off peak working hours (business who trade overseas for instance), this is extremely beneficial. The commitment periods vary but are usually a few months minimum, giving you complete flexibility to move on if things aren’t working out for you. For anyone considering the serviced office solution, here are the key benefits according to New Business online.